Only the best ingredients will do! We start with our estate grown olive oils, use fresh basil and real aged Parmgiano Reggiano. 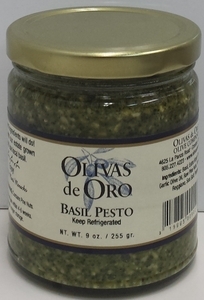 Made with our Garlic Olive Oil and Mission Blend Extra Virgin Olive Oil. 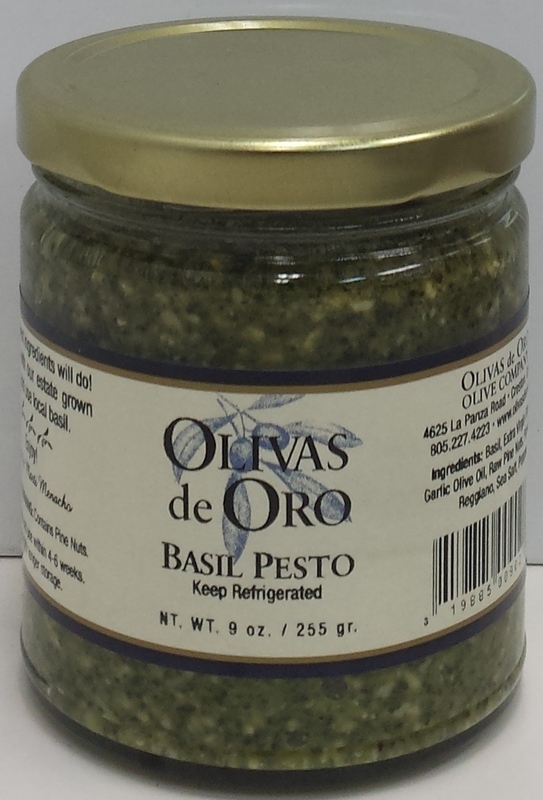 Use this pesto in the traditional way on pasta or mix in with steamed vegetables. Great as a sandwich spread or on fish or chicken. Make your garlic bread with this pesto instead of garlic and butter. Refrigerate upon receipt for up to 30 days or freeze.